TMI Coatings, Inc. was contracted by local seafood distributor Morey’s Seafood to install protective flooring and cants/coves on approximately 8,000 sq. ft. of flooring. The customer purchased an old building, removed all the existing concrete, and poured a new slab which needed to be coated. The customer needed a durable floor topping to protect the concrete because the new floors are constantly wet in the seafood plant. Typically new concrete needs to cure for a minimum of 28 days before floor coatings can be installed. 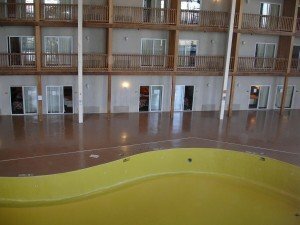 TMI cementitious urethane is a perfect solution to minimize that typical down time as it can be applied 5-7 days after new concrete is poured. 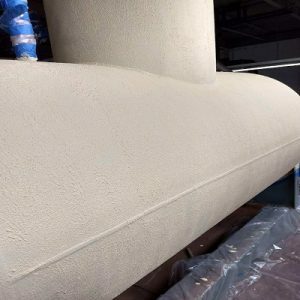 TMI showed Morey’s Seafood a similar plant where TMI installed cementitious urethane with great success, and it convinced Morey’s Seafood to use TMI for their new floors. 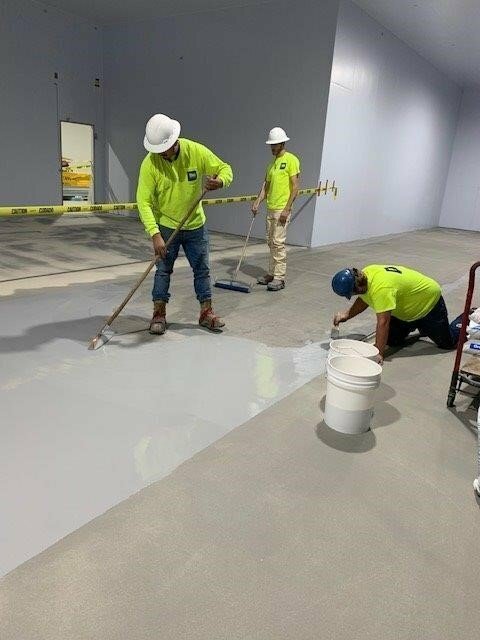 TMI installed a self-leveling 100% solids cementitious aromatic urethane system with a quartz aggregate broadcast in the new food processing plant. This system is typically installed at an average of 3/16” – ¼” thickness. 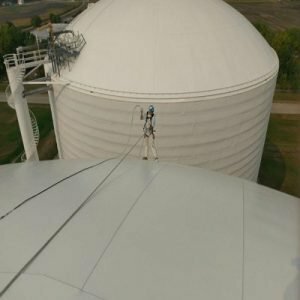 This system is designed to protect concrete from chemical attack, corrosion, impact and thermal shock. It is also unaffected by freeze/thaw cycles. This system is often used in commercial kitchens in restaurants, wet areas, meat/poultry and dairy processing, and processing areas with very good success. This system meets USDA, FDA and CFIA standards.